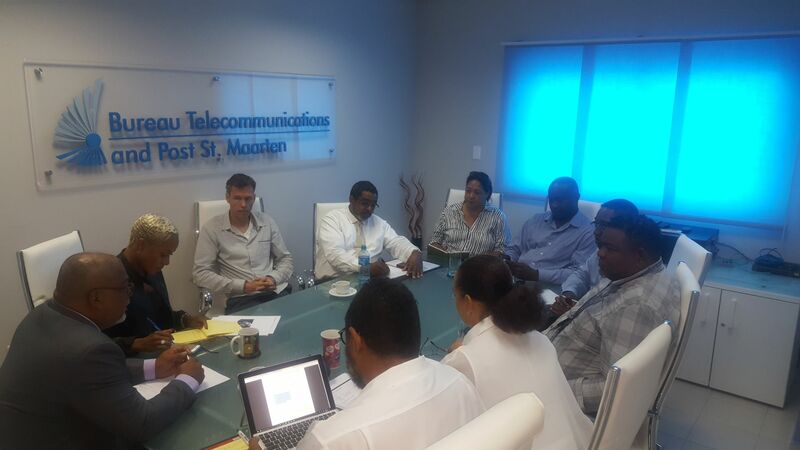 During the meeting in-depth discussions took place on preparatory work on the Telecom infrastructure, network resilience and the availability of communication services in the immediate aftermath of a disaster. While it’s clear that there are often many challenges to provide stable telecom services in the immediate aftermath of a disaster, it’s to the belief of all stakeholders involved that the chance of service continuity is greater by working together. In order to achieve such, it’s to the belief of the Regulator that “Internal Roaming” is one of the most important things to enable in the aftermath of a storm to guarantee availability of communication services to all. When the internal roaming is activated, it means that when the network of one mobile operator is down, their customers will still be able to make use of mobile services by connecting to the network of another mobile provider. In Sint Maartens’ case; in the event the Telcell mobile network is compromised, their mobile customers would still able to connect via the Chippie network, and in the event the Chippie network is compromised, their mobile customers would be still to connect via the Telcell network. In the unfortunate event that Sint Maarten again gets hit by a hurricane, and it has been determined by BTP that island wide mobile coverage is no longer guaranteed to the residents of Sint Maarten due to damages on the Telecom networks, BTP will advise the Prime Minister via the EOC-Structure to effectuate a Ministerial Decree that allows for internal roaming. The internal roaming will then remain in effect as long as the country is in a state of emergency. Confirmed article 8 of “rampenbestijding” and Article 40 through 42 of the “Landsveroderning Telecommunicatie.